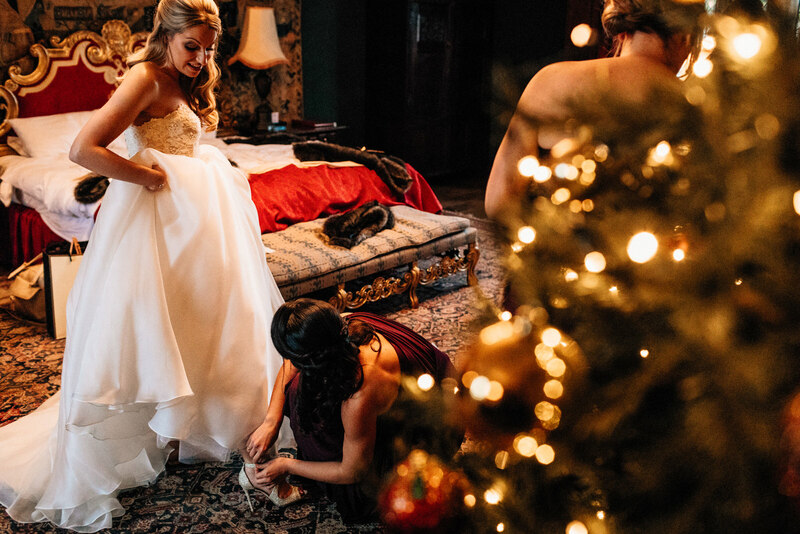 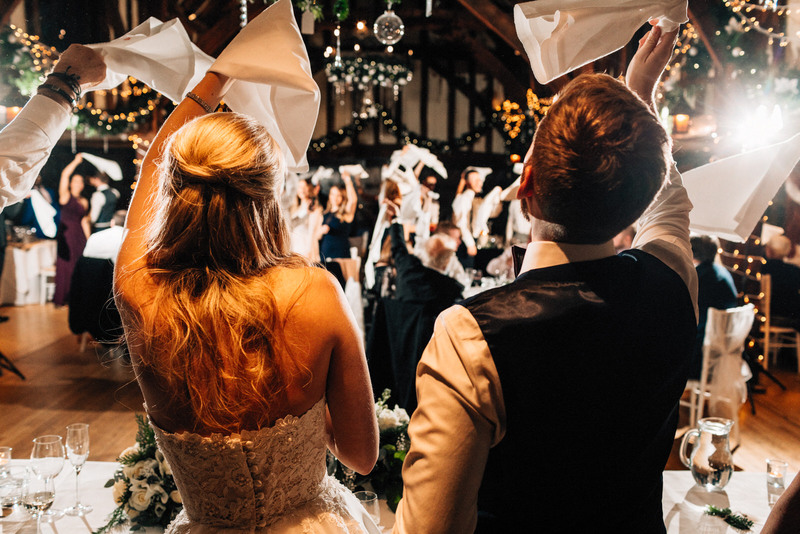 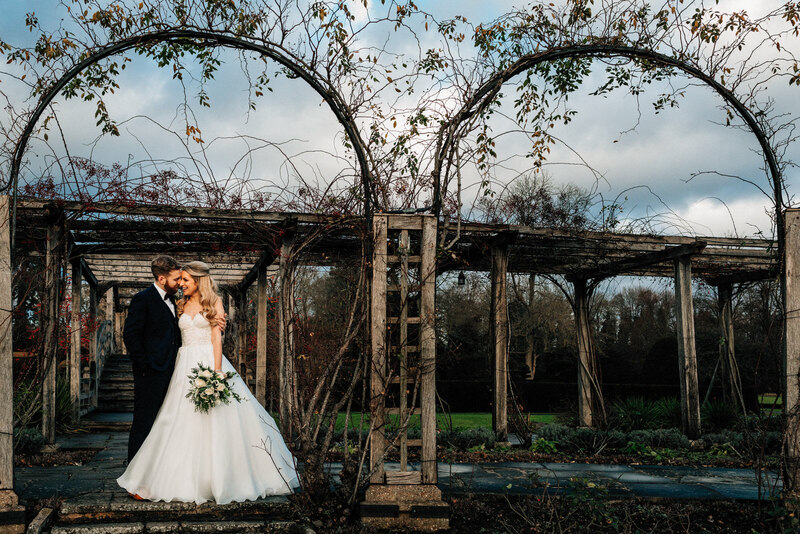 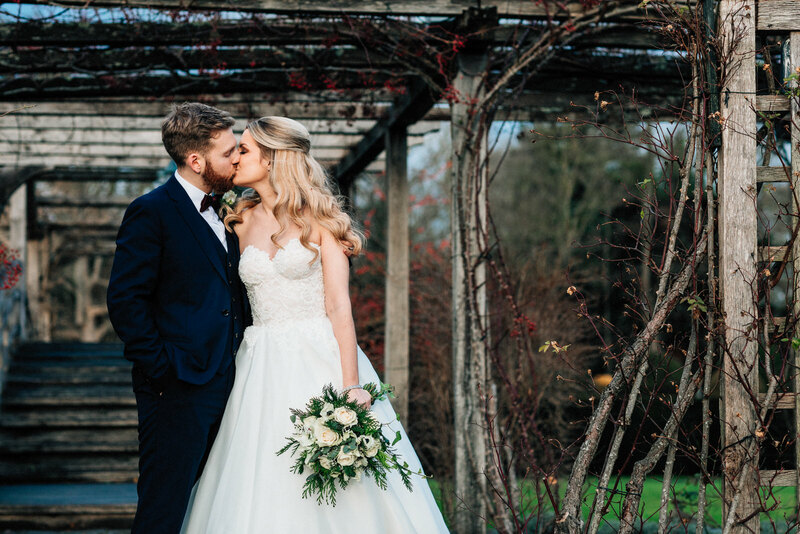 Shortly after Christmas I captured this gorgeous winter wedding at Great Fosters in Surrey on a very cold December day. 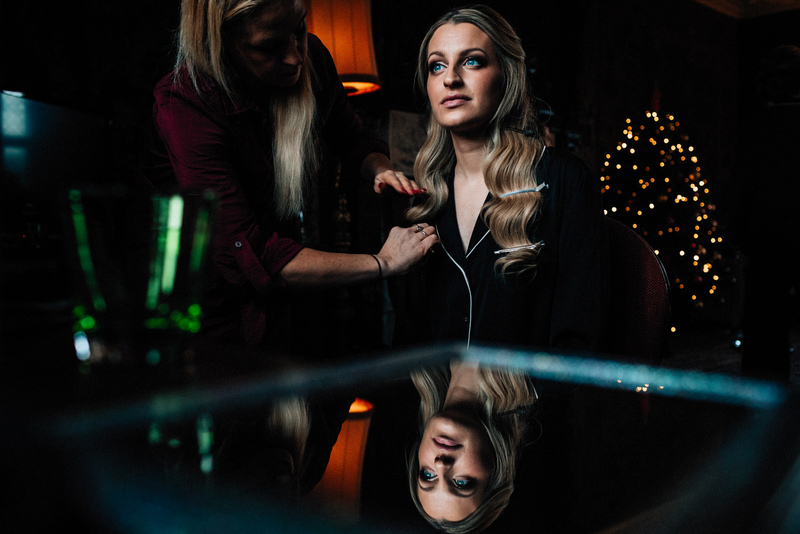 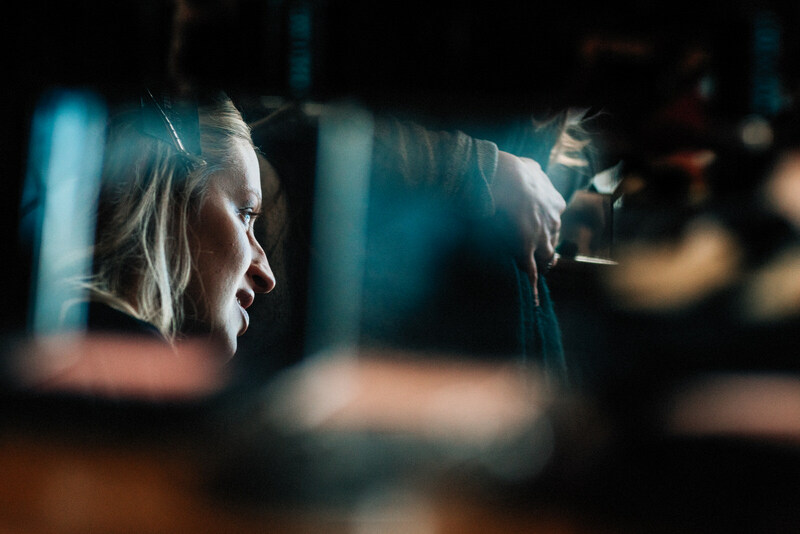 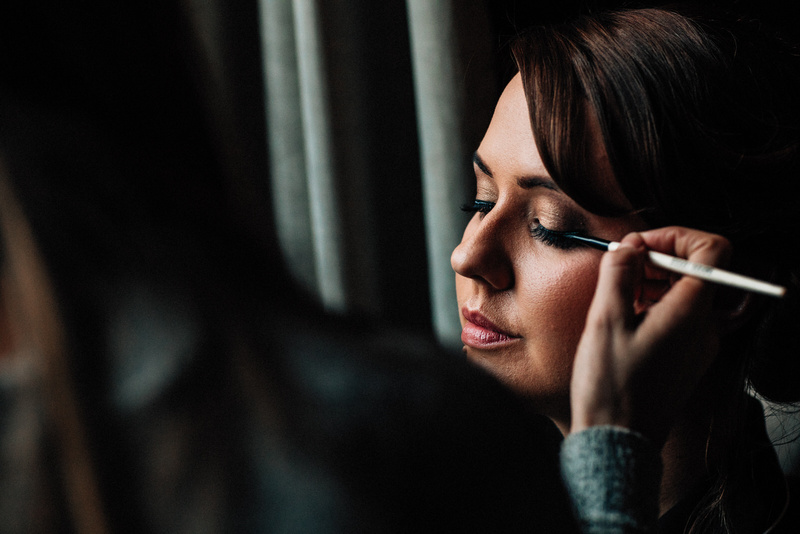 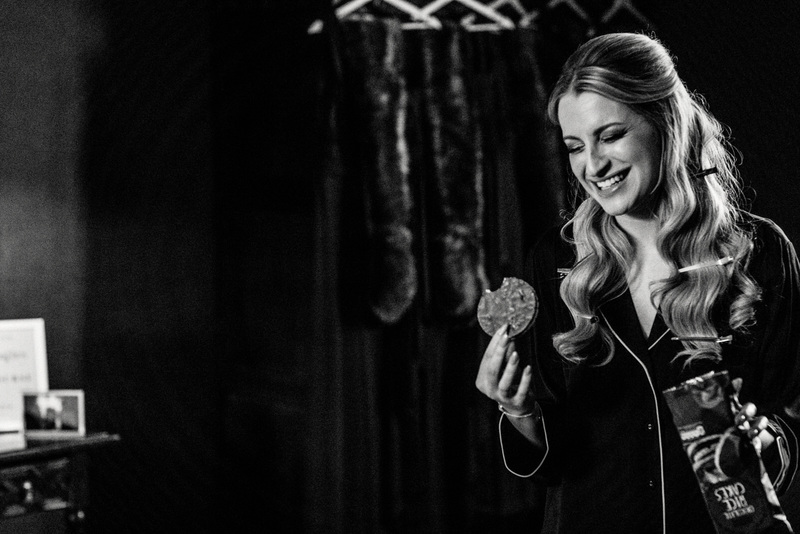 I first met Katy and Michael during their pre-wedding consultation, something I do with every client to really get an understanding of their day and what they are looking for from their wedding photography. 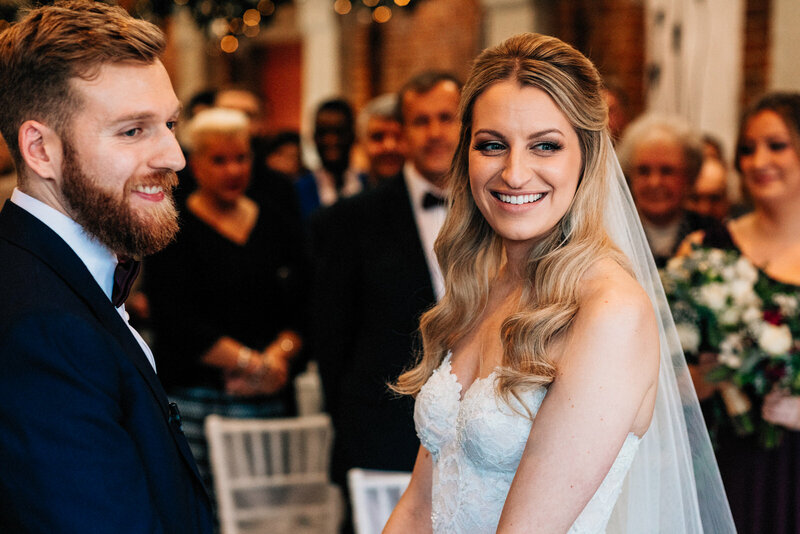 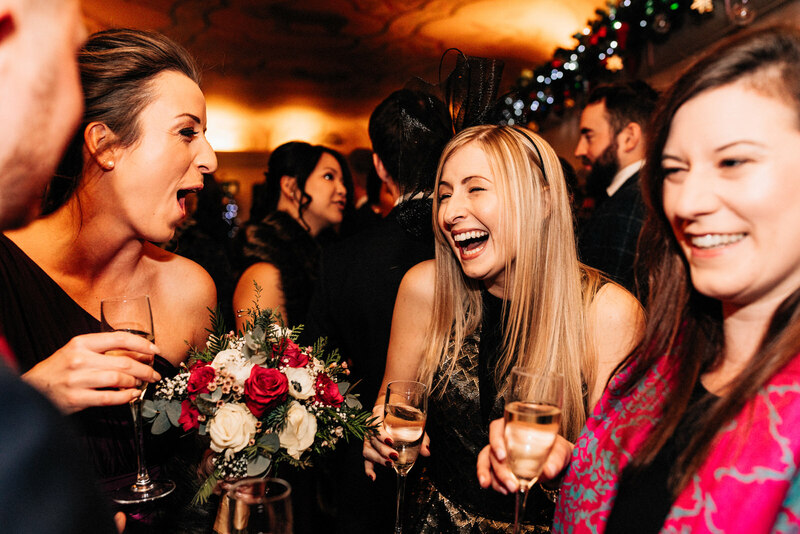 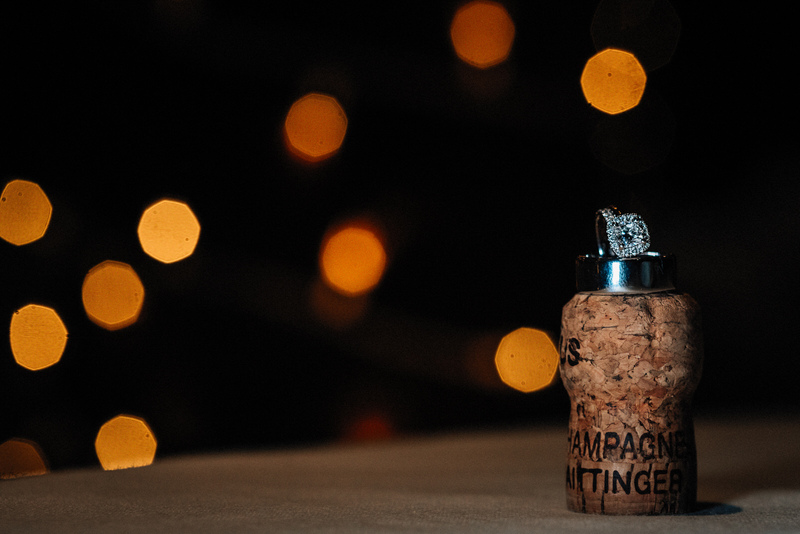 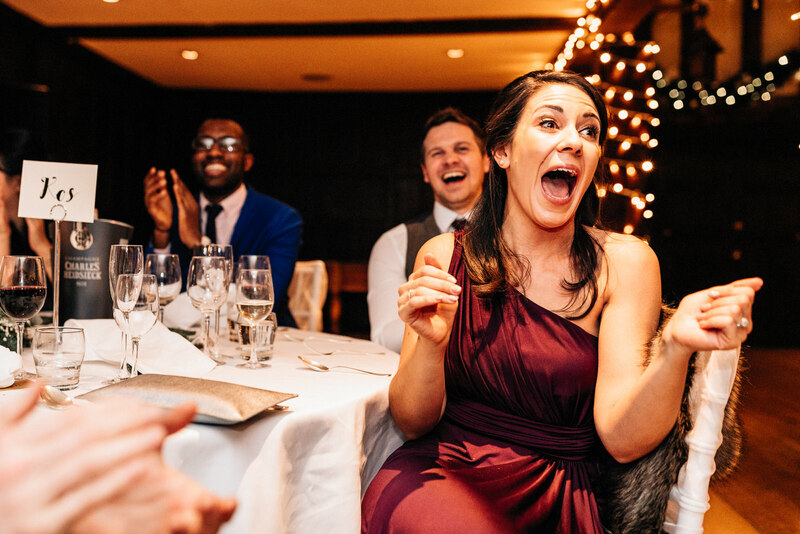 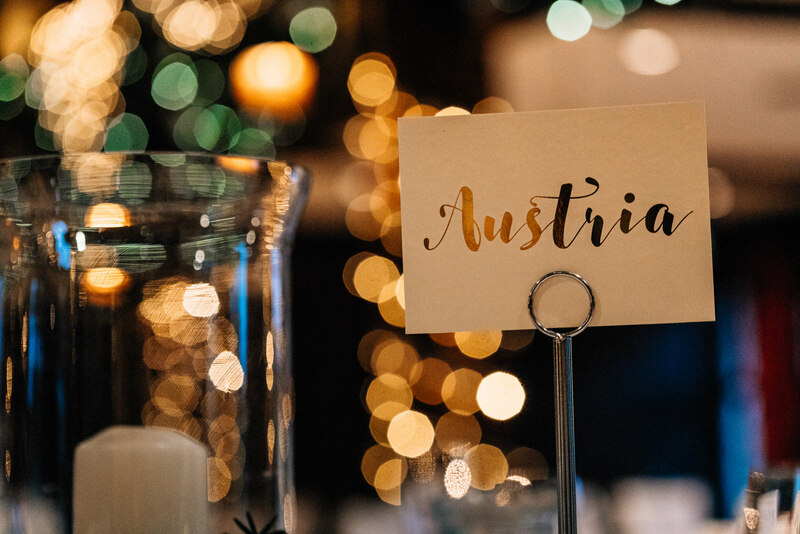 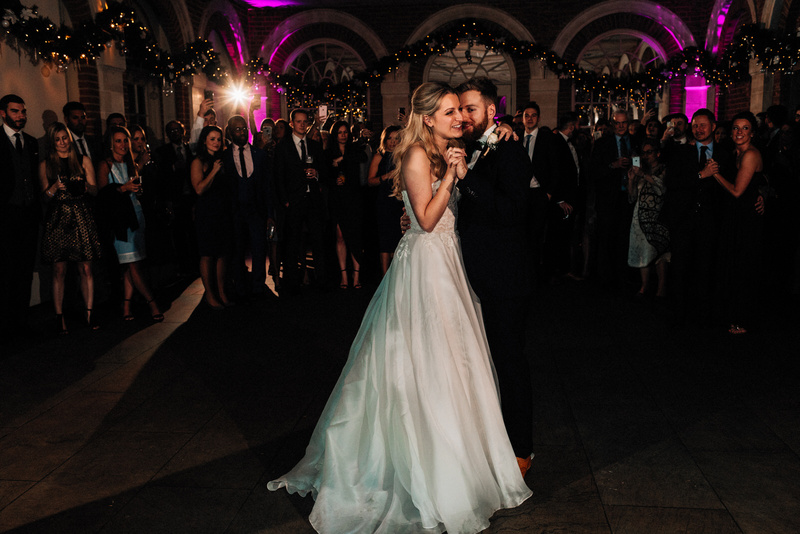 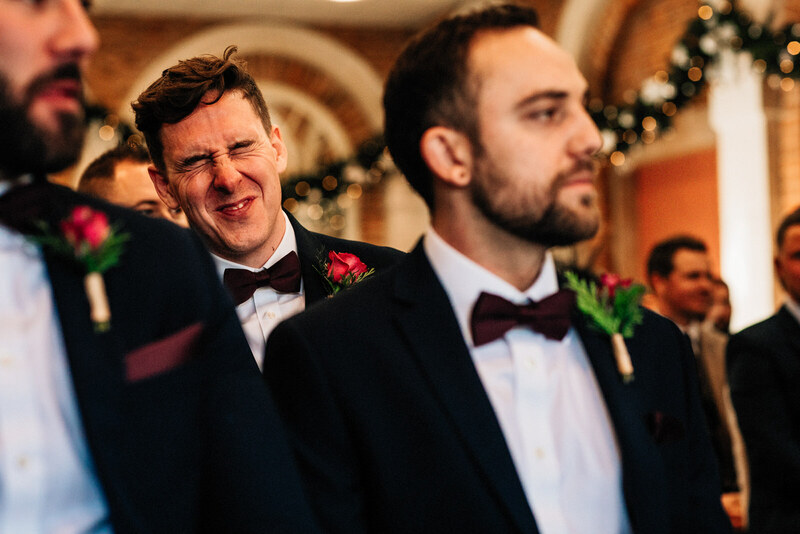 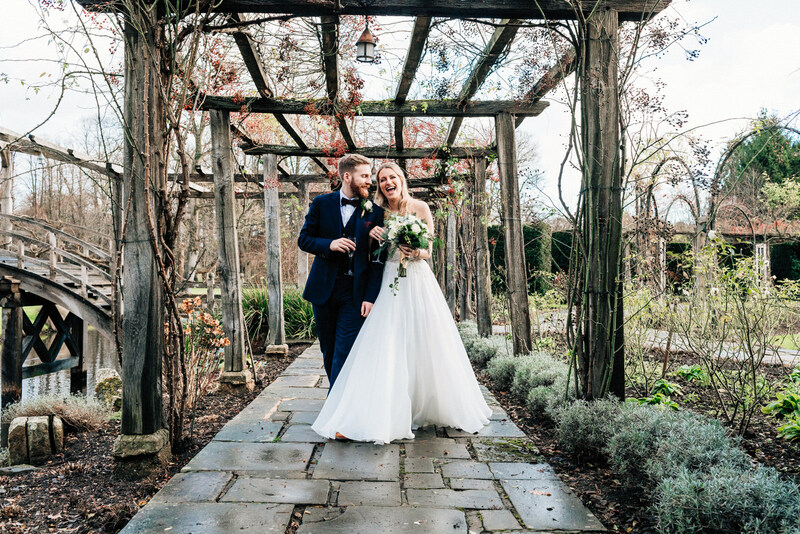 Katy and Michael had opted for a warm and intimate wedding with close friends and family, with lots of laughs and a little surprise. 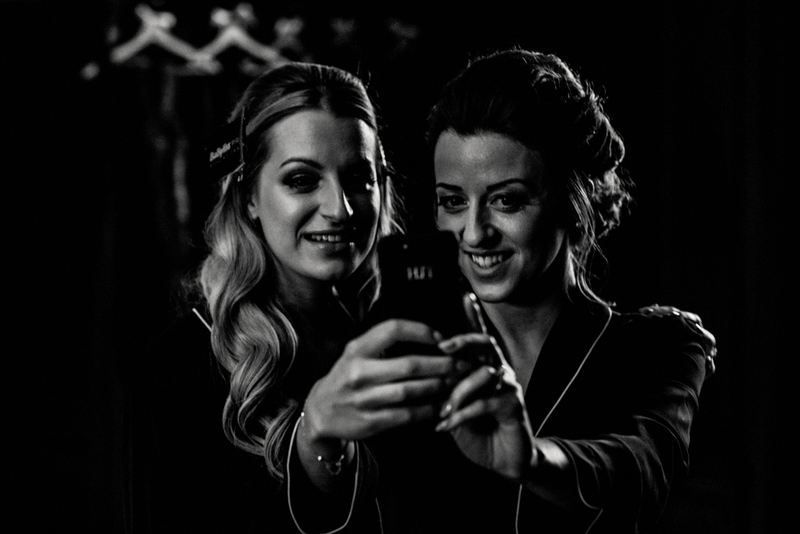 I spent the morning with Katy and the bridesmaids at this Hertfordshire wedding venues bridal suite, where the girls were on great form, reminiscing about old times and getting ready to some cool tunes on the iPod. 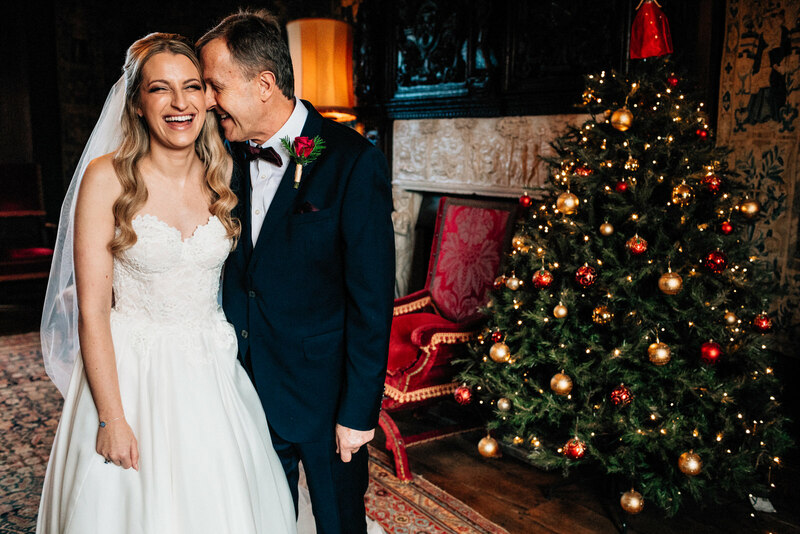 Katy was super relaxed and looked stunning in her Caroline Castigliano dress, sharing some lovely moments with her father before we made our way down to the ceremony. 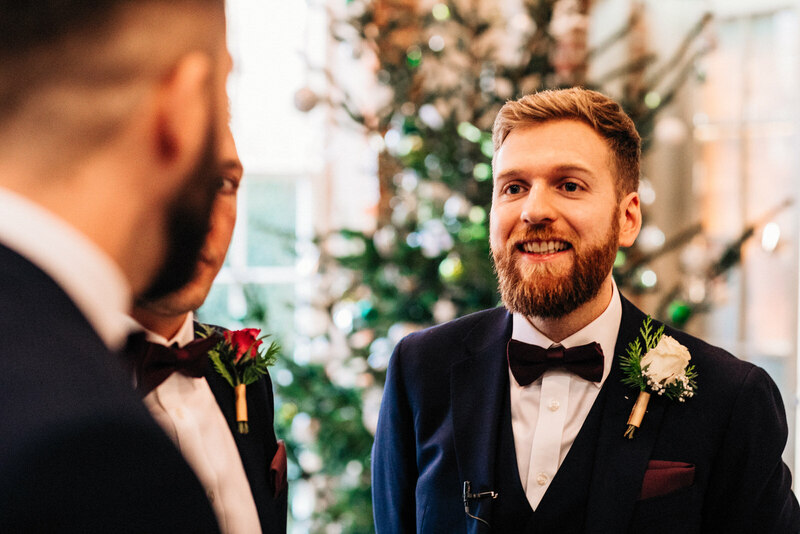 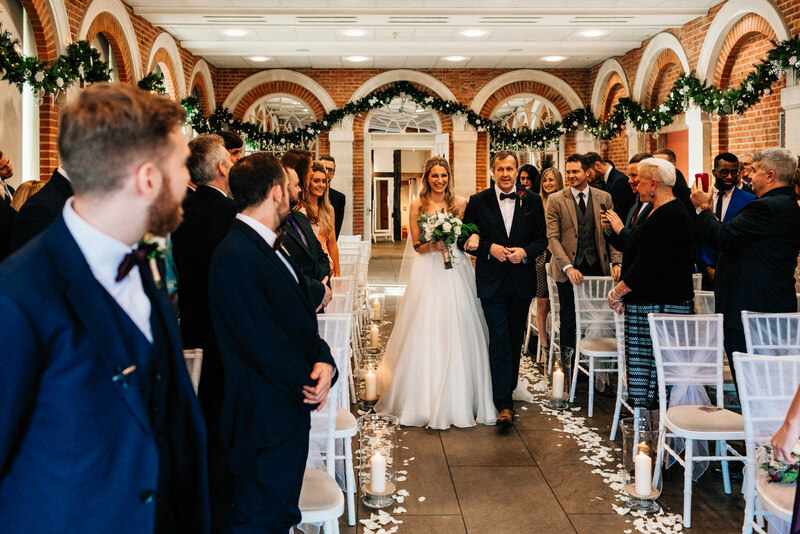 Michael was very relaxed when I got to the Orangery for the ceremony, buoyed no doubt by his Ushers who were on top form. 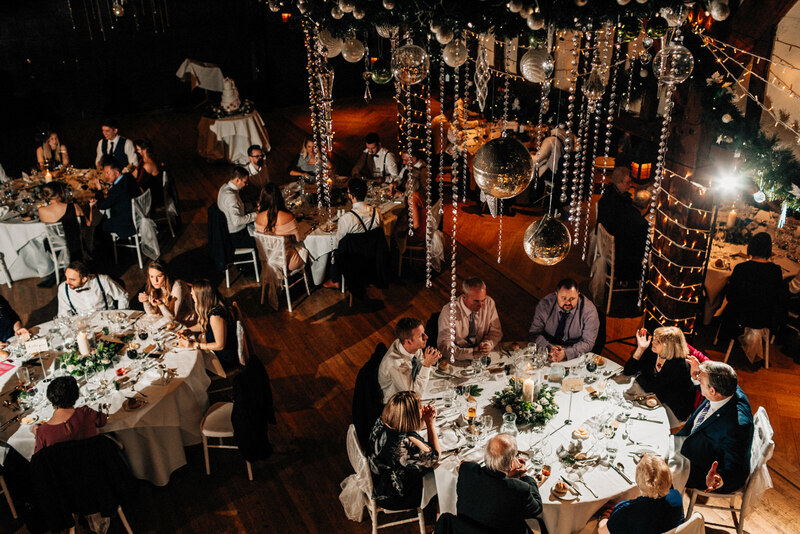 The room was beautifully decorated to feel very Christmassy and really added to the intimate atmosphere of the wedding. 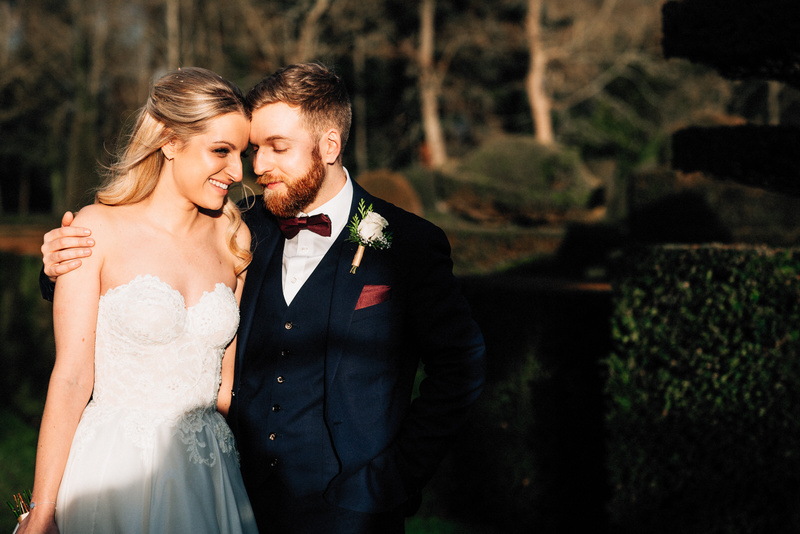 After the ceremony we grabbed 25 minutes to capture some rare winter sun in the glorious Great Fosters grounds, before the winter chill got too much for us all and we made our way back to the venues open fires and canapés. 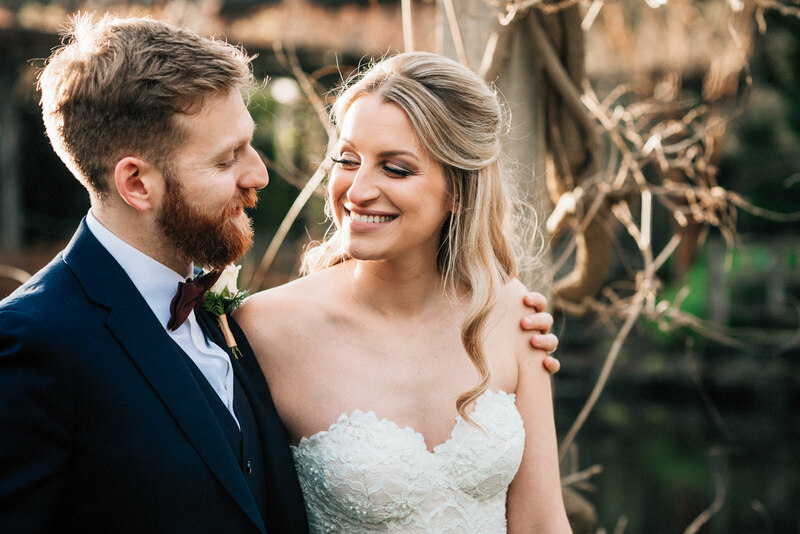 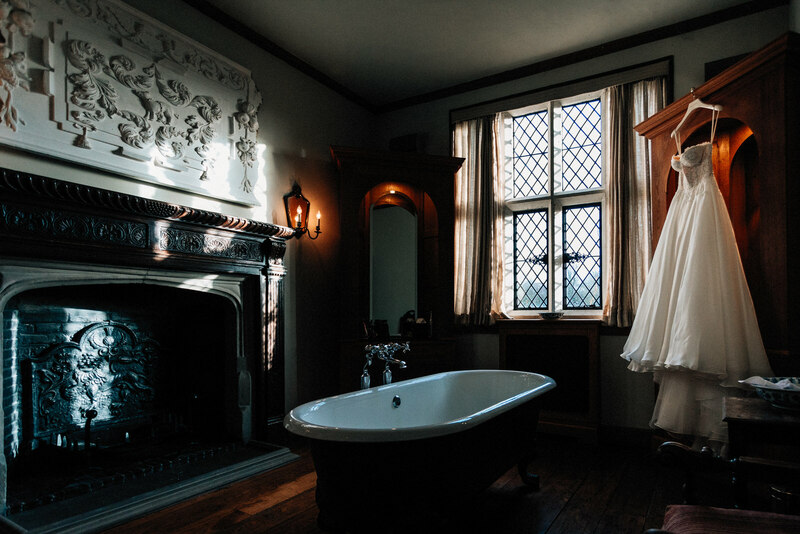 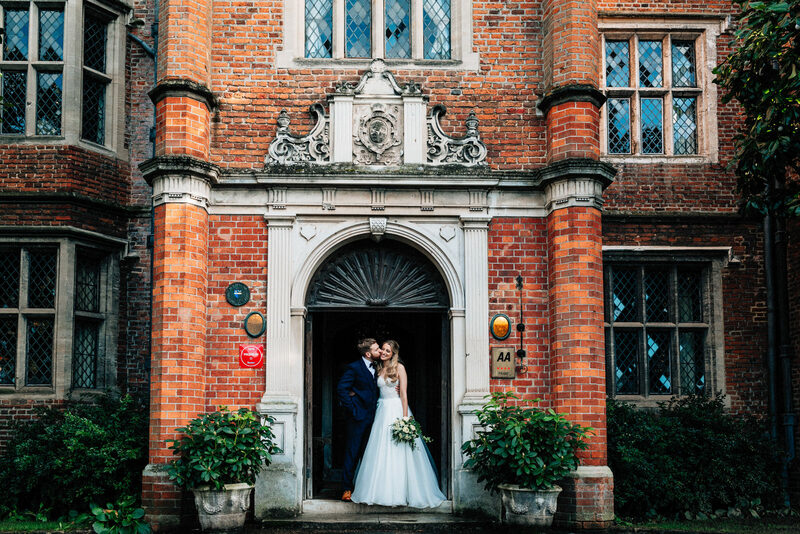 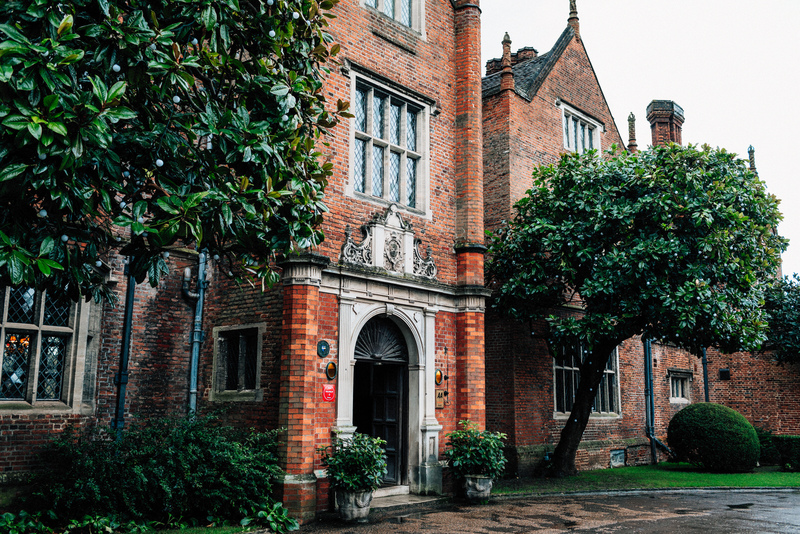 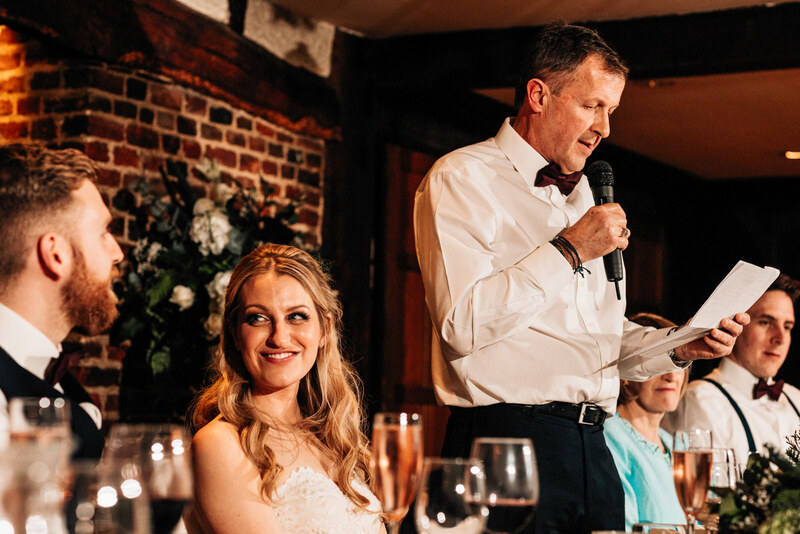 As a Hertfordshire wedding photographer it’s always important for me to capture the couple in context of their wedding venue in order to record the moment and provide them with beautiful memories to cherish. 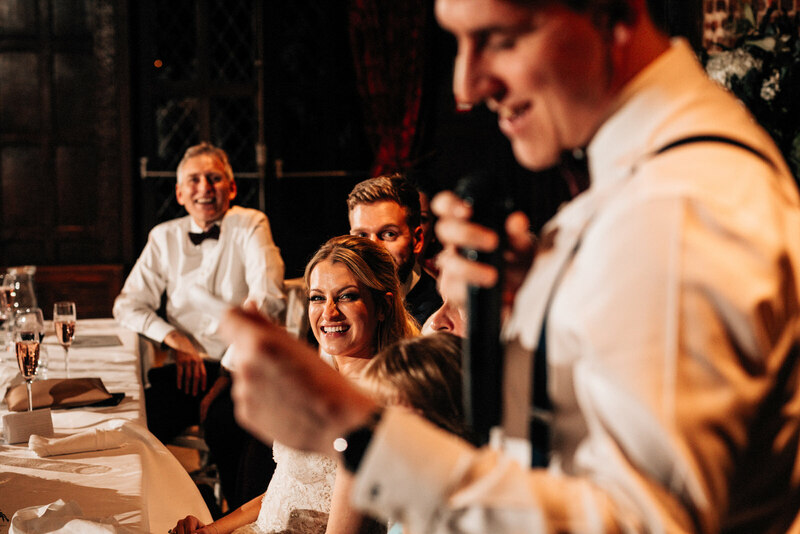 Much to the delights of the guests, Katy and Michael had arranged for a singing waiter, and boy could he sing. 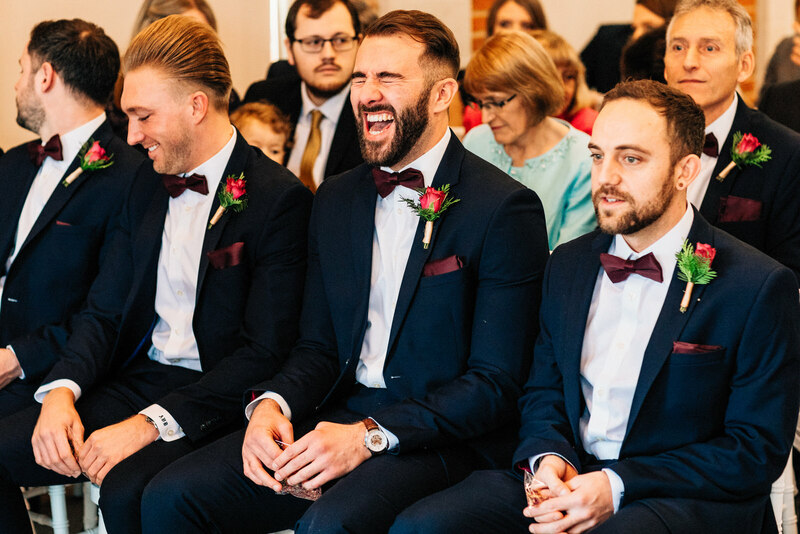 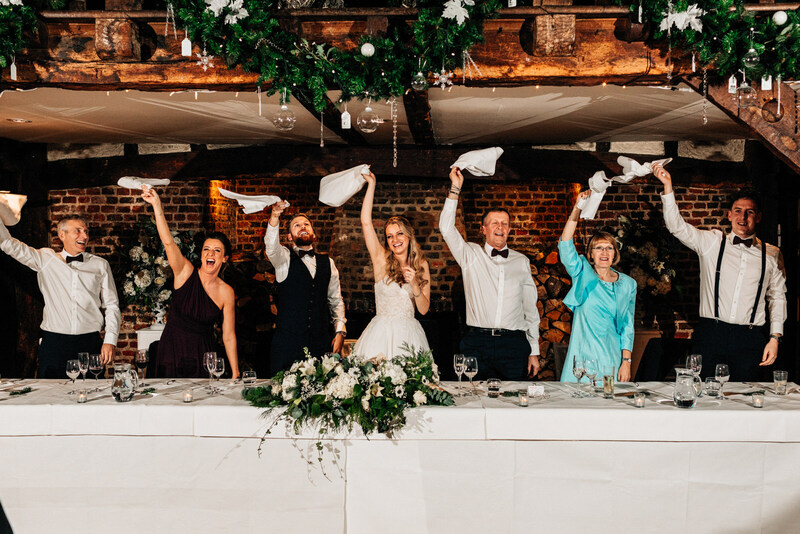 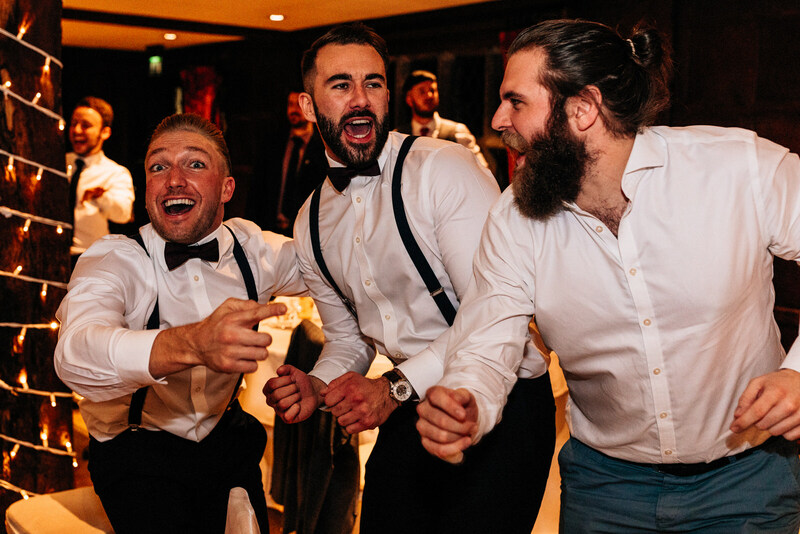 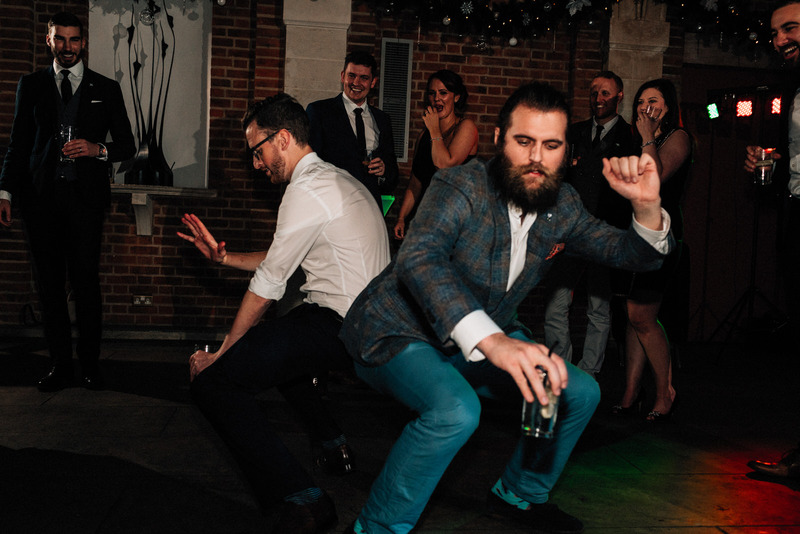 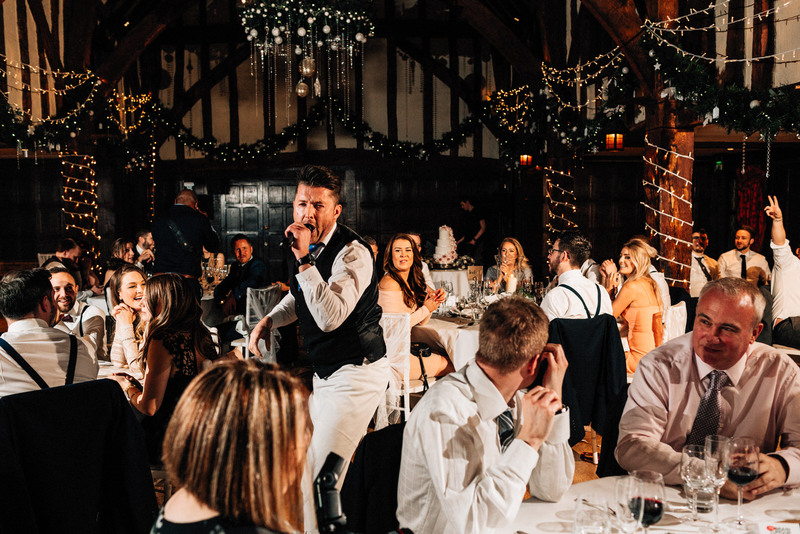 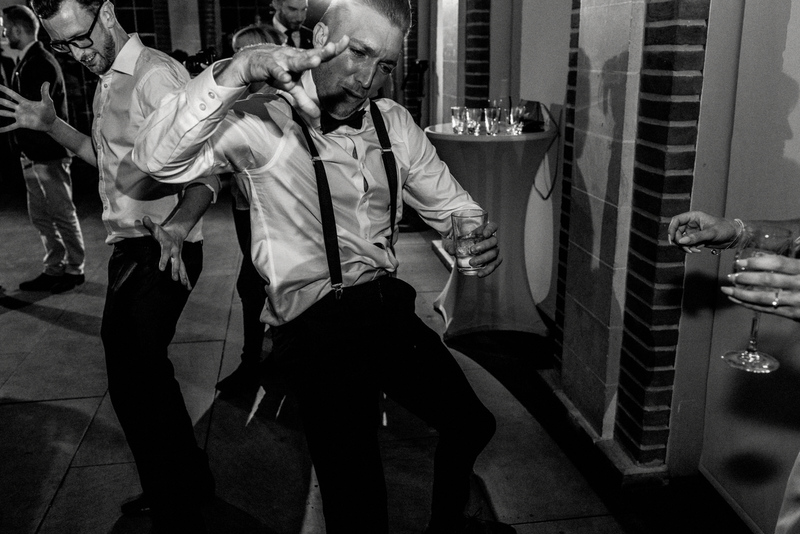 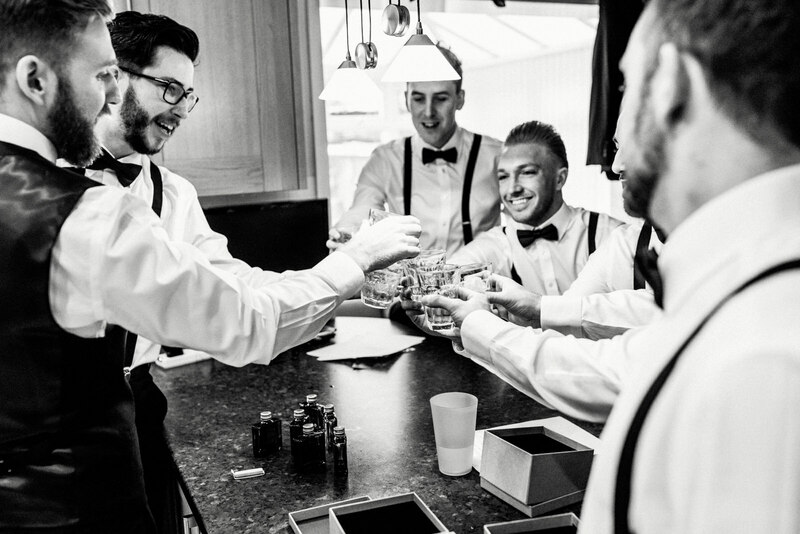 For 30 minutes The Singing Waiter Masters had people on chairs, singing and dancing as he entertained everyone with classical operatic singing before the wedding breakfast was served. 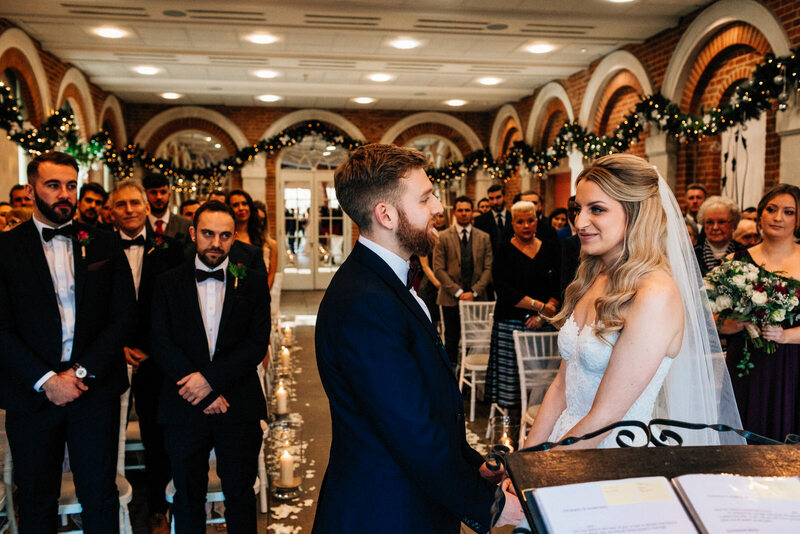 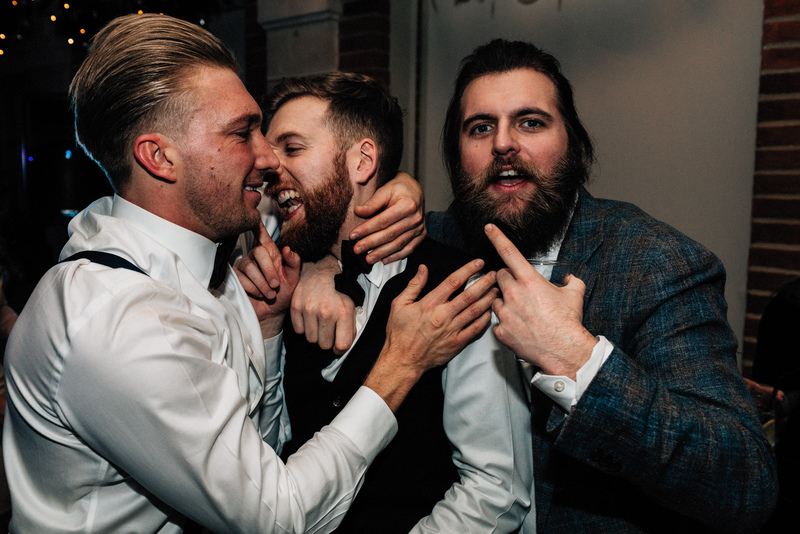 This really was a beautiful wedding, enjoy.